Tanning isn’t something I do all that often, what with trying to embrace my pale skin and all that, but when I’m going out on a night out or for a special occasion I do like to reach for the fake stuff and make myself look a little more alive! 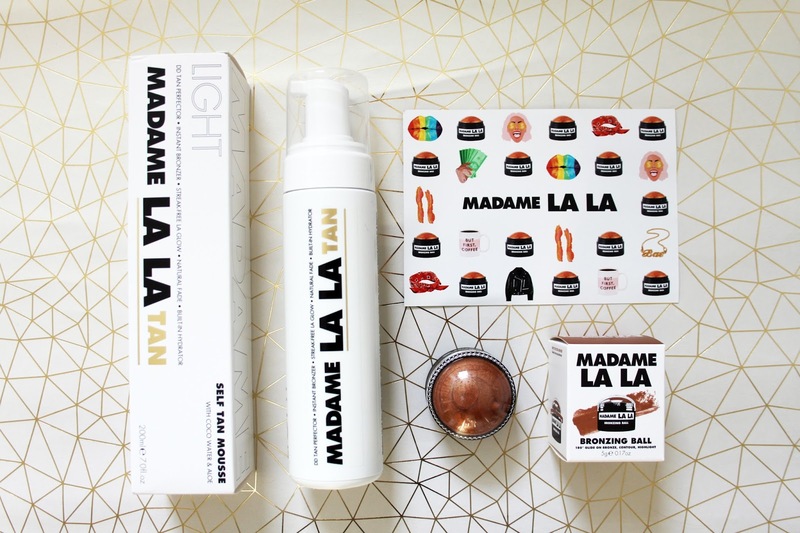 I usually go for Fake Bake Five Minute Mousse for instant colour, but when this tan from Madame La La came through the post just in time for New Years Eve, I knew I’d be using this one instead! This is a mousse tan, and offers instant colour that builds over a few hours. You can dress five minutes after application and you’re good to go – no need to wait to shower it off! 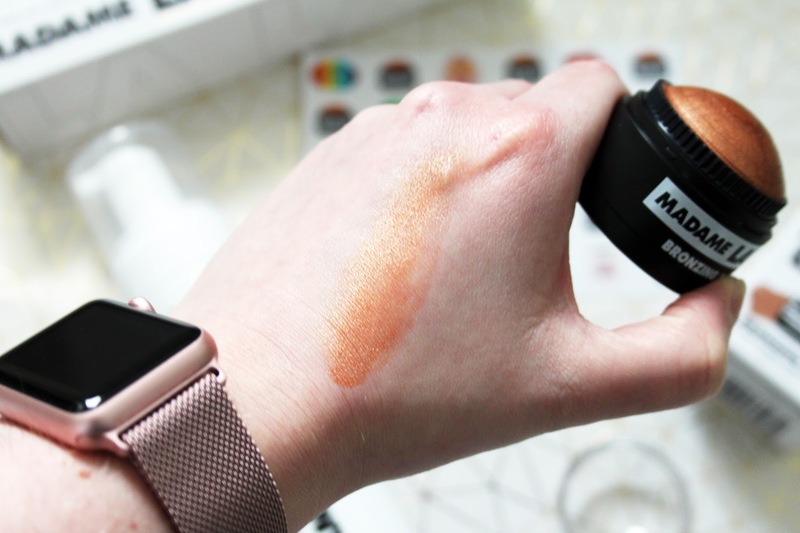 This was perfect for when I was getting ready on NYE in a rush, so I applied it all over my body in a matter of minutes with a tanning mitt, and could instantly see a bronzed colour once I’d finished. A few minutes later I had a lovely subtle streak free glow and could put on my party dress and heels with no worry about it transferring. I had compliments throughout the night on my glow and could visibly see my skin looked healthy and moisturised, thanks to the hydrating benefits of coco water, aloe, green tea and Vitamin E.
I showered the next morning, and again for the following few days and can still see a very subtle colouring that has faded evenly with no patching. Needless to say I’m super impressed and I think this may have taken number one spot in my tan collection over my all time favourite Fake Bake!! I used the light version, but a regular version is also available for those who are blessed with more colour than me! I’ve also been trying out the Madame La La Bronzing Ball which I am obsessed with! This is a twist up cream bronzer that is perfect for contouring and bronzing in simple effortless strokes. It’s a lovely colour that can be built up for a more intense shade dependent on your skin tone, and looks amazing worn with the tan. I used it on top of my contour and as a subtle sheen at the tops of my cheeks, and didn’t have to touch up at all throughout the night. Result! It also has a delicate coconut fragrance which, let’s face it, makes it even better! This one will definitely be going in my holiday make up bag in a couple of months! All in all, two great products that I’m really impressed with. 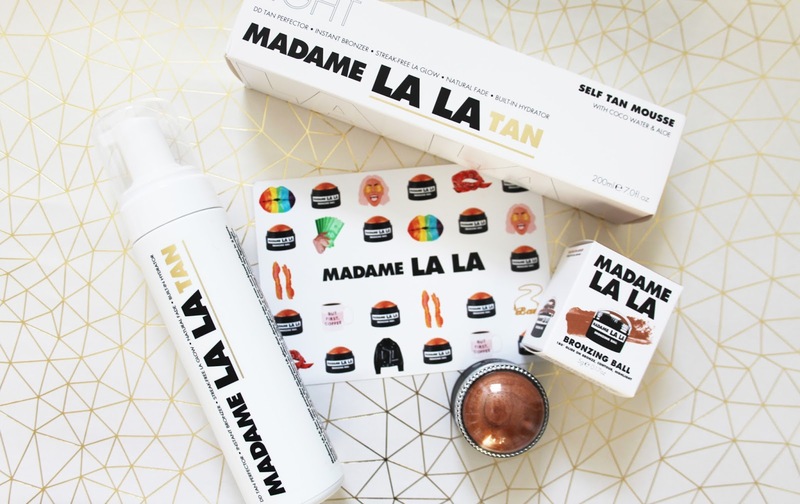 I’m so glad I discovered Madame La La – I think I’ll be repurchasing this tan over and over again! Have you tried anything from the range?